Charles Robert Moorhead was born on January 23, 1938 at Chambersburg, Pennsylvania. Moorhead would squeeze a rubber ball during his school days in order to make his hands stronger. He pitched well in high school getting drafted by the Cincinnati Reds in 1958. The six foot one, right handed pitcher became an original New York Met when he was picked up in the 1961 expansion draft (Rule 5). Moorhead has the honor of being the Mets very first relief pitcher to ever come into a game. 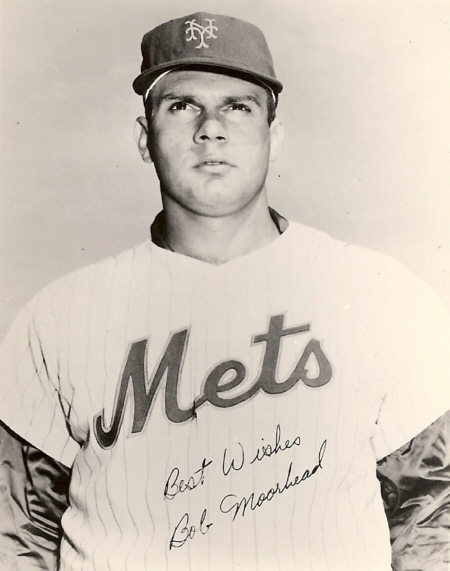 It happened on the first game in Mets history at Sportsman’s Park in St. Louis on April 11th, 1962. He relieved Roger Craig in the 4th inning and allowed five runs (two earned) on six hits in three innings pitched in the Mets first ever loss. He was on the ’62 club all season, mostly as a middle reliever, usually walking in to some kind of disaster. At the end of July he was put in the starting rotation, & earned two no decisions in Mets losses. On August 5th he earned his first loss, it came against his old Reds team mates, as he allowed four runs in six innings of work at the Polo Grounds. He was back in the bull pen by mid August & took a loss to the Phillies on August 15th after giving up a 13th inning hit to Johnny Callison. On August 30th he blew a three run lead in Philadelphia serving up a grand slam HR to Don Demeter & took another loss. His last appearance on the year was on September 1st. He finished the year at 0-2 with a 4.53 ERA pitching 105 innings in 38 appearances with 63 strike outs & 42 walks. Moorhead went back down to the minors in 1963 going 13-5 at AA Raleigh in the Carolina League. At AA Austin he went 6-2 with a 2.51 in 1964. 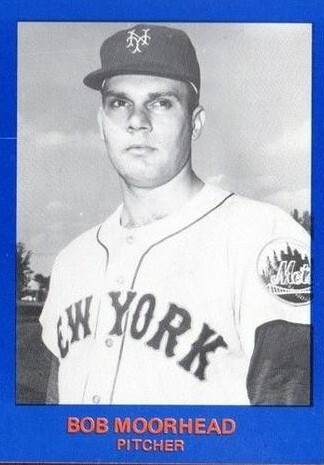 After going 5-0 at AA Williamsport in 1965 he resurfaced with the Mets in mid August. In his first game back the San Francisco Giants tagged him for two runs at Candlestick Park, giving him the loss. He made just nine appearances, finishing three games on the season. 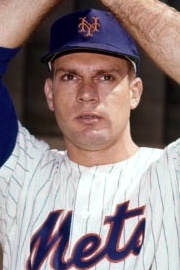 Moorhead pitched in the minor leagues through 1966. He would never win a game in the majors, posting a lifetime 0-3 record, with a 4.51 ERA, pitching in 119 innings allowing 134 hits & 60 earned runs. Retirement: After baseball he worked at a trucking company in Lemoyne Pennsylvania. Moorhead passed away on December 3, 1986 at the young age of 48.